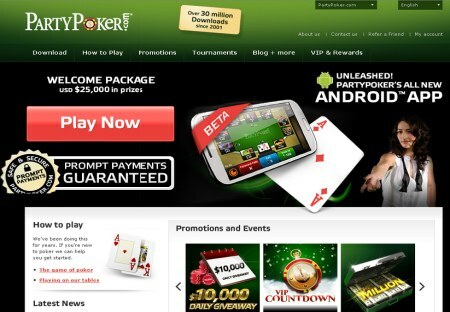 PartyPoker.com has a large loyal database of players thanks to the advantages on offer. As a member of the PartyGaming network, the poker room has signed an exclusive partnership with the World Poker Tour (WPT). With an attractive first deposit bonus, the operator makes every effort to renew their recreational player pool and thus maintain a relatively low level of play. 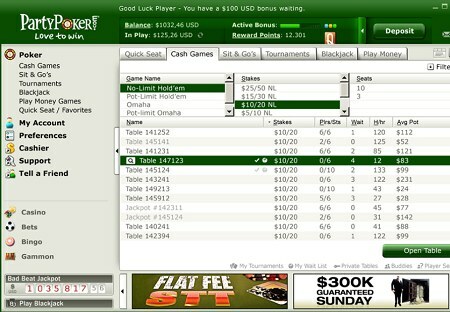 Freerolls are also offered to newcomers. The loyalty system put in place means you can enjoy many benefits. 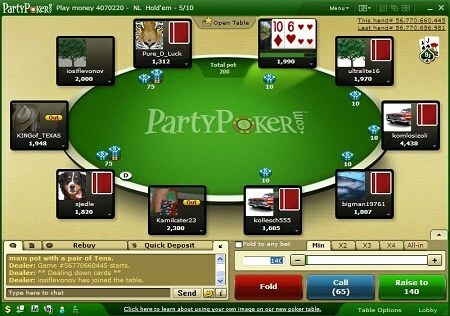 This poker room is one of the most high-performing rooms on the market today. Furthermore, the customer service department can be reached 24 hours a day, 7 days a week.